The best thing about homeopathy is that it impacts your mental/emotional state – WITHOUT drugging you or your kids. It reminds you of what is real and helps your body to mirror that truth. When our bodies get frightened physical symptoms such as shortness of breath, rapid heartbeat,clenching, flushing, shaking, sweating and crying can occur. Allopathic medicine seeks to shut down the physical experience and make the symptoms disappear. Homeopathic medicine seeks to address WHY the symptoms are there, and address both the physical and the emotional discomfort. Homeopaths understand that the body speaks to us in the language of symptoms. This is especially useful when you have a child that is pre-verbal. Understanding body cues is key to compassionate care of your baby. It takes time and careful observation of both yourself and your children, but these mysteries will be revealed if you persist. Fear is one of the easier mysteries to see because the expression is so dynamic. They physical symptoms mentioned above are all quite obvious, especially in a baby or small child. As adults we tend to compensate and hide these expressions but they are happening regardless of our suppression. Here is one of the easiest remedies to use for fear and anxiety – helpful for mothers, babies and fathers…. transition during birth – feeling as if you were about to die! 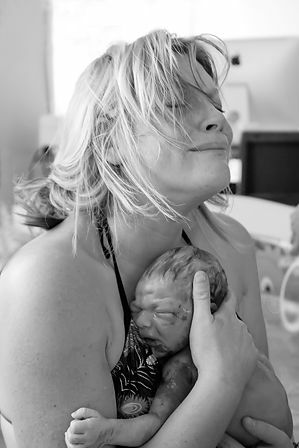 birth trauma – when a baby has been surrounded by people who fear he/she will die. Give two pellets of Aconite 1M and wait. Within just a few minutes you will observe/feel easier breathing, calmer language, a softer body and the fear subsiding. It reminds you of who you really are and where you are in the present moment. To care for a woman following a cesarean birth is a tender mission. She needs both physical and mental/emotional support. Using homeopathic remedies immediately following a cesarean means that she will be able to integrate the experience faster and allow her focus to be on her and her baby. two pellets immediately following birth allows a woman to pass gas and then be allowed to EAT. two pellets for anger following a cesarean – does not need to be immediately following the birth, can be at any point following a cesarean. Feeling of being traumatized by the birth, feeling as if violated, feeling of being dominated, feeling of having no choice, feeling of being a victim. Anger may only show up on behalf of someone else – another friend who has a cesarean, their baby etc. Anger may only appear in dreams. very sensitive to rudeness, to being touched, to feeling of powerlessness. trembling when talking about a birth experience, shaking from anger. Bell’s palsy from anger or a cesarean birth. This remedy is the most important remedy to consider for homeopathic induction of a VBAC woman. It will clear the pathway of any previous trauma or anger and allow the new experience to be fresh. Two pellets will be enough to do this work. IF you have specific questions about using this remedy please contact me for guidance. Midwifery Series – #1 – ITCHY mamma! This remedy will address the intense itching that some women experience during pregnancy. This remedy is for itching both with and without visible eruptions. Itching is worse on the feet or begins on the feet, for some women it covers their bodies. This level of itching prevents good rest and can drive people crazy. They are compelled to itch incessantly but it does not bring relief. This remedy has a tissue affinity for the liver so it will support the liver if this is the root cause of the itching. Give two pellets and wait – the intensity and the frequency of the itchiness will subside in the 1:10 time frame. This means that if the pregnant woman has been itchy for 10 days then within 1 day there will be a change. If you have further questions about using or prescribing this remedy and would like some guidance please feel free to connect with me. I am an expert in the field of homeopathy and midwifery care.